The Best Kansas City Blogs from thousands of Kansas City blogs in our index using search and social metrics. We’ve carefully selected these websites because they are actively working to educate, inspire, and empower their readers with frequent updates and high-quality information. Also check out Kansas City Youtube Channels. Kansas City, Kansas About Blog Get local perspectives and travel tips from people who live, work and play in Kansas City, KS! Come explore Kansas City, Kansas things to do, events, hotels and more. Facebook fans 27,626. Twitter followers 5,812. Kansas City About Blog A blog about Kansas City politics and culture. Facebook fans 3,371. Twitter followers 6,640. Kansas City About Blog The Restaurant Guide of Kansas City is published quarterly & distributed free of charge to the general public throughout the Greater Kansas City area. This blog is the best resource for fine dining, events, wine dinner and more. Facebook fans 6,178. Twitter followers 10,551. Kansas City Metro About Blog iFamilyKC is the resource for KC parents! We've got the scoop on all things kid & family: entertainment, education, events, products, classes, camps, programs & coupons for Kansas City Metro families with kids. Facebook fans 100,943. Twitter followers 3,204. Kansas City About Blog Kansas City on the Cheap finds deals, discounts and free events in Greater Kansas City. They are committed to finding you the best food and entertainment deals in the Kansas City area. Facebook fans 7,190. Twitter followers 1,670. Kansas City, Missouri About Blog OurKidsMom is about life with 4 kids ranging from college age to toddler. We love sharing our thoughts on new products, travel, food & DIY. Facebook fans 20,932. Twitter followers 40,704. San Francisco, CA About Blog A local subreddit dedicated to the Kansas City metro area. This includes Kansas City, Missouri as well as suburbs in both Kansas and Missouri. Facebook fans 1,186,709. Twitter followers 554,825. Kansas City, Missouri About Blog Follow the Kansas City Star newspaper for the latest headlines on Missouri news. Find daily local breaking news, opinion columns, videos and community events. Facebook fans 163,885. Twitter followers 276,344. Kansas City, MO About Blog Visit KC is an economic development organization dedicated to tourism. Our mission is to ignite global passion for visiting Kansas City. We do this through sales and marketing efforts to attract visitors and conventions to Kansas City. Facebook fans 142,913. Twitter followers 189,617. Kansas City About Blog Bev Weidner is a food blogger, an obsessed photo-taker of her twins, a wifester, a cheese lover, a musician, a runner, knows every word and lyric to the sound of music, and a continual changer of hair-er. Facebook fans 24,395. Twitter followers 5,695. Kansas City About Blog CitySceneKC is your news source for downtown Kansas City, reported by a journalist with 30 yrs of experience & passion for downtown. Facebook fans 974. Twitter followers 2,715. Kansas City, Missouri About Blog Welcome to She KC Lifestyle! We are so happy to have you here. This idea started between several discussions and dreams shared between two best friends. We are shekc -- the everyday woman that is balancing family (and kids), work, friendships, all while trying to stay stylish within an everyday lifestyle. Shekc stands for: style. Health. Experience. Kiddos. Connections ....And includes everything in between. Facebook fans 15,398. Twitter followers n/a. Kansas City, MO About Blog Kansas City Fashion Week is a nexus of fashion professionals. Featuring local, national and international designers, each year KCFW produces two full weeks of premier runway shows, enabling designers to collaborate with seasoned stylists, make-up artists, models and photographers to present their collections in the most professional atmosphere imaginable. Facebook fans 11,653. Twitter followers 2,600. Kansas, USA About Blog Bethany Frazier, is a Registered Dietitian offering nutrition consulting and professional services in and around the Kansas City area. She is revolutionizing the way you think and approach food, creating a lifestyle that works for you. Facebook fans 739. Twitter followers 509. Kansas City Metro About Blog I'm Andrea of This Kansas City Mama! I'm a mama, wife, blogger, DIY enthusiast, a self-professed fashionista, and mompreneur. On this blog I am sharing all of my favorite things from fashion to home decor, places to explore around Kansas City, and so much more. I hope you enjoy what you read and see. And share your comments! I love to hear from all of you. Facebook fans 68. Twitter followers 474. 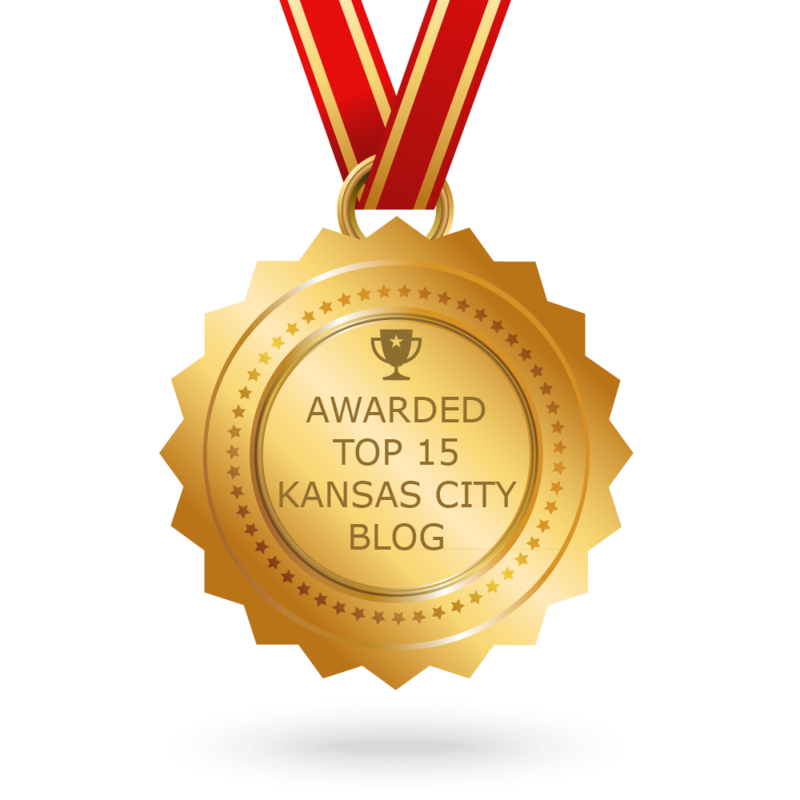 CONGRATULATIONS to every blogger that has made this Top Kansas City Blogs list! This is the most comprehensive list of best Kansas City blogs on the internet and I’m honoured to have you as part of this! I personally give you a high-five and want to thank you for your contribution to this world.